أفاد مصدر ملاحي في محافظة البصرة، الخميس، بأن باخرة أجنبية تحمل عشرات آلاف الأطنان من القمح الكندي المستورد لحساب وزارة التجارة رست في ميناء أم قصر التجاري بعد مضي أكثر من شهر على توقفها في منطقة بحرية بعيدة عن الموانئ بسبب تأخر ظهور نتائج الفحص المختبري لعينات من الشحنة. وقال المصدر إن "الباخرة الأجنبية (بانزي) التي تحمل 50 ألف طن من القمح الكندي المستورد لصالح وزارة التجارة رست اليوم في ميناء أم قصر التجاري تمهيداً لتفريغ حمولتها"، مبيناً أن "الباخرة كانت متوقفة في منطقة الانتظار (منطقة بحرية بعيدة عن الموانئ) منذ (9 كانون الأول 2015)، ولم يكن يسمح لها بالرسو في الميناء بسبب تأخر ظهور نتائج الفحص المختبري لعينات من الشحنة. ولفت المصدر الذي طلب عدم الكشف عن اسمه الى أن باخرة ثانية تدعى (مياركوس) تحمل أيضاً 50 ألف طن من القمح المستورد لحساب الوزارة لم تزل متوقفة في منطقة الانتظار منذ (16 كانون الأول 2015)، وهي تنتظر ظهور نتائج فحص عينات من شحنتها حتى تتجه الى ميناء أم قصر التجاري لتفريغ حمولتها. يذكر أن البصرة تضم خمسة موانئ تجارية نشطة ترتادها عشرات البواخر الأجنبية شهرياً، هي موانئ المعقل وأبو فلوس وخور الزبير وأم قصر الشمالي والجنوبي، والأخير عادة ما تقصده البواخر التي تحمل شحنات من المواد الغذائية المستوردة من قبل وزارة التجارة. وقبل السماح لتلك البواخر بالرسو يجب عليها البقاء في منطقة الانتظار بعيداً عن الميناء لفترة تتراوح عادة من اسبوع الى اسبوعين يتم خلالها سحب عينات من الشحنة وإرسالها الى مختبرات الوزارة في بغداد لفحصها من أجل التحقق من صلاحيتها للاستهلاك البشري ومطابقتها للمواصفات التعاقدية، في حين يحق للبواخر المحملة ببضائع مستوردة لصالح القطاع الخاص التوجه مباشرة الى الموانئ، وأحياناً تتوقف في منطقة الانتظار بضعة أيام لحين توفر أرصفة شاغرة، بحسب مراقبين. استبشر العراقيون عربا واكراد في الموسم الماضي بخبر ان العراق انتج من القمح مايكفيه (اكتفاء ذاتي). ودفعت الحكومه العراقيه حوالي 700 دولار امريكي لكل طن من القمح يصل السايلوات العراقيه على اساس انها انتاج محلي . الاان بعد ستة اشهرمن التطبيل والتزمير للاكتفاء الذاتي الذي حققه العراق نرى ان البواخر الاجنبيه محمله بالقمح ترسو خارج الموانئ العراقيه بانتظار نتائج فحص عينات من الشحنات قبل تفريغها. علما بان هذه الفحوصات لاتاخذ من الوقت الى عدة ساعات . اذن لماذا هذا لانتظاروالتاخير المتعمد خارج ميناء ام قصر،السبب يكمن في حمولة البواخرحيث ان سعر طن القمح الموجود على الباخره لايزيد عن 200 دولار امريكي للطن الواحد.بينما الحكومة تدفع ثلاثة اضعاف ذالك المبلغ للذين يفرغون محتويات شاحناتهم القادمه من وراء الحدود في السايلوات بعد اجراء بعض الفحوصات على عينه من حمولة الشاحنه والتي تستغرق دقائق في حين ان فحص حمولة الباخره تاخذ شهرا. ان مافيات القمح تهرب كميات هائله من القمح المستورد وعن طريق ايران وتركيا وحتى داعش وتبيعه للحكومه ونفس المافيات وزعانفها تعرقل وصول البواخر الى الموانئ. ان المافيات هذه تتحكم في رغيف الخبز للعراقيين. Historically, Sudan was described as the food basket of the Arab Countries and Kurdistan also was described as the food basket of Iraq. However Sudan is now the biggest receiver of food aid from the WFP and 5.6 million people in the country are listed as receiving this UN agency’s handouts. For almost three decades I worked in Africa, mainly in North and East Africa I always attributed Sudan’s problems to the lethargy of the Sudanese and the mismanagement of the corrupted rulers in Khartoum. It is rather surprising that a border line, demarcated as a straight line by English surveyors many decades ago, separates not just the countries of Sudan and Egypt but it also separates the different attitudes of the two nations to work and production. Sudan was described as the food basket as it has every thing needed for agriculture, and is rich in water, fertile land and its environment. Sudan has some 120 million head of ruminants, almost half the number to be found in all the Arab Countries put together. Yet with all this wealth of livestock Sudan is importing a large quantity of dry milk to feed its population as the herds of native cattle(30 millions) are not good milk producers and they are maintained away from the urban areas where the milk is needed . As a Regional Livestock Officer for FAO, with responsibility for the Water Buffalo Network for Southern Europe, North Africa and the Middle East, I believed that the water buffalo offered a solution to the milk deficit for the urban people in Sudan. North of the Sudanese border almost 3.5 million head of water buffalo provide meat, milk and ghee for Egypt yet in Sudan there are no water buffalo. I endeavoured for 8 years to introduce the water buffalo to the country, travelling between Cairo and Khartoum, meeting ministers who always seemed to agree with me, and yet when I obtained funding for a model buffalo farm to be developed in the country the government resolutely refused the project. about by civil strife, secondly the discovery of oil in the region has never been used to support the development of the agricultural sector but rather that the reverse occurred. Thirdly Sudan is now on the slippery path of giving away its precious agricultural land to any foreigner who comes with a ready offer. The latter includes the tiny Gulf States, who now are supposed to develop Sudan’s agriculture, yet lack the knowledge to do so. The track record of the Gulf States does not stand up to scrutiny as these countries had a scarce and precious reserve of ground water that they have managed to fritter away. The same Gulf States have already gained a foothold in farmlands in many countries including Turkey, into which they have poured some 11 Billion $ in the last few months, and this is expected to be doubled soon. While other countries in third world reject this form of neo-colonisation, the people of Turkey and Sudan have not shown any concern. This lack of concern may be attributed to the fact that both countries have plentiful water sources in their rivers which they view as sellable commodity with no consideration for countries down stream. These farmland acquired by GCC in Turkey are not far way from the water sources of the Tigris and Euphrates and the impact that this will have on the water supply of Kurdistan and the whole of Iraq remains to be seen. 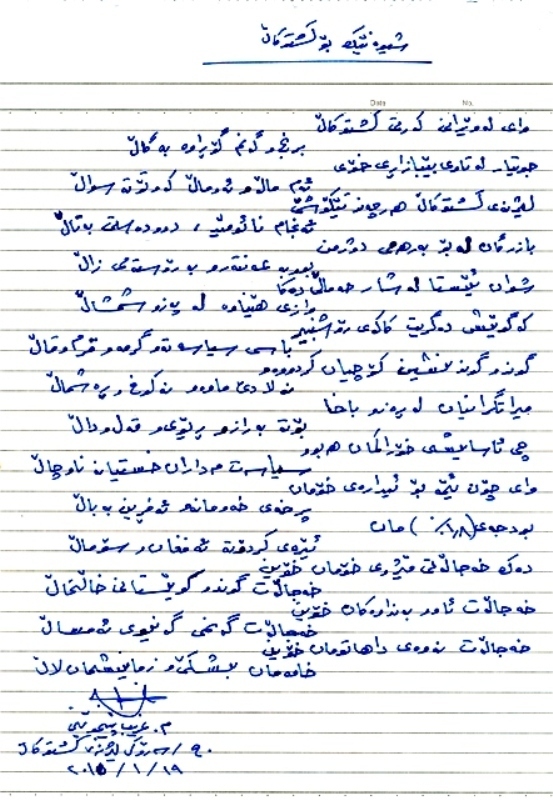 At time of writing Tigris and Euphrates bring approx 14 billion cu.m. of water annually. While the 44 minor rivers and streams that flow form Iran ceased to flow while rainfall is no longer predictable. It is an accepted fact that every one million head of human population requires 1 billion cu. m. of water annually with an ever growing population Iraq and Kurdistan face major problem. It is essential that action is taken to safeguard the country water and ensure optimum use of both land and water for the countries’ agriculture. The 9 million Hectares of agriculture land in Iraq has fail to produce food for the Iraqis to a degree that most of the population are depending on the ration handout. Annually 4-5 Billion US $ spent by the Ministry of Trade to buy essential food ingredient e.g. Flour, Rice, Oil and sugar. Agriculture currently provides about 8 percent of Iraq’s GDP and less than 20 percent of employment, and supports a rural population of 7 million people. The sector has declined since the 1980s and is underperforming. Over the last fifteen years, agricultural production dropped by an average of 1.1 percent per year, and per capita agricultural production declined by about 3.9 percent per year. Productivity of the main cereal crops—wheat, barley, and rice—has fallen dramatically. Most of the country’s food requirement is imported. Under the sanctions regime, a Public Food Distribution System (PFDS), which provided food rations to all Iraqis, attempted to support food security at the household level, but fell short of ensuring adequate nutrition to most of the population. The land of Mesopotamia has not come to this bleak situation overnight but this is the consequence of decade of negate in gross mismanagements intensified by the sacrifice of its environmental and agricultural assets in pursuit of wars. The loss of the southern marshes with their water buffalos, reed beds, fish, waterfowl, and wild life is considered to be one of the biggest environmental catastrophes in the world. The huge fruit orchards in the east of the country which were renowned for their production of pomegranates, figs and citrus fruits suffered water shortages resulting from bad diplomacy with Iran over half a century e.g. as in Mandeli and its surrounding area. During the war with Iran many of the orchard keepers left the area or were deported to Iran and any of the orchards were clear felled. Lands in central Iraq and the southwest suffered from increasing salinity resulting from irrigation and mismanagement which was never addressed and land was left fallow. However this it self was disastrous as the poor drainage resulted in further salination. In the north, previously the ‘food basket’ the situation was graver with over 5,000 villages demolished, their water sources destroyed and the population killed, displaced or forced to live in camps. The two Gulf wars had a further severe effect as the soldiers that were conscripted to fight came from the rural communities, being farmers, shepherds, butchers and fishermen and many failed to return to village life after the wars but remained in the towns the village life had been destroyed. Since the establishment of the government of modern Iraq, some 80 years ago, there has never been any attempt made to form a recognised, legal, water treaty between Iraq, Turkey, Syria and Iran. However, Egypt formed such a treaty in 1929 receiving exclusive rights to the waters of the Nile in the Nile Water Treaty that was signed by Lloyd George on behalf of the other 9 countries through which the river flows. 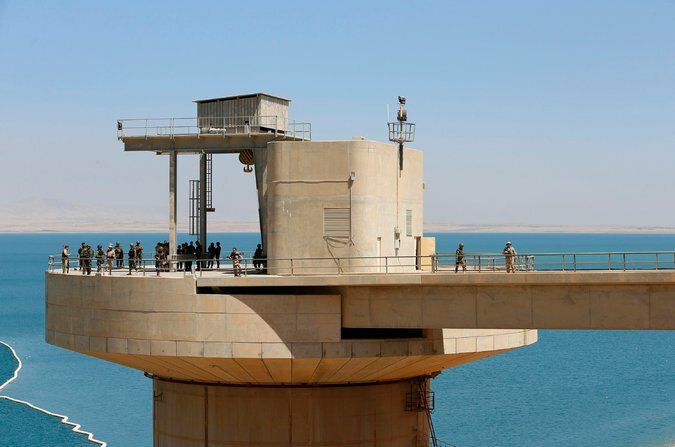 One may argue that the situation was different in each case and that a gentleman’s agreement and a goodwill announcement is sufficient but this cannot ensure Iraq’s future when its neighbours can increase their demands on a shared water source to which Iraq has no legal right. A few months ago the Head of Nestle International said that water will dry up before the oil reserves do (Independent, 9.8.2009). If one considers the countries of the Middle East the oil rich Gulf States do not have water so the obvious inference is to Iraq. · More than 50 countries targeted by maybe 1,000 investment groups and a dozen or so governments. · World Bank says 50m ha – nearly half the cropland of China – signed away or under negotiation in Africa, Asia, LatAm since 2006. FAO says 20m ha in Africa alone. GRAIN think they're missing a lot. · Reuters (11.11. 2009) repotted; Iraq is closed to concluding multi-billion dollar agriculture deal with private sector firm in the UAE to lease farmland on a long term basis. This agreement will classify Iraq as one of the 50 poorer countries targeted by land grabbers from the GCC. For most of the past 25 years, investment in agriculture has declined relentlessly. In 2005 most developing countries were investing only around 5% of public revenue in farming. The share of western aid going to agriculture fell by around three-quarters between 1980 and 2006(Economist 21.11.2009). Agriculture and food security have become “the core of the international agenda”, as the G8 called it. In 2009, the World Bank increased its spending on agriculture by 50%, to $6 billion. The Islamic Development Bank is creating an agriculture department for the first time. Iraq has extended a ban on imports of frozen and live poultry products to cover two dozen countries, including China and South Africa, the government said on Jan. 10. Baghdad last month restricted poultry imports from France, where an outbreak of avian flu has been reported. “The import of poultry and birds of all kinds ... as well as both types of eggs (table and hatching), feathers and all products that use poultry or their products ... is prohibited,” a government statement said. The agriculture ministry could not be contacted for immediate comment, but a ministry spokesman previously said that the ban on French poultry was because of avian flu. The affected exporters are Bangladesh, Burkina Faso, Bhutan, China, Egypt, Ghana, Hong Kong, India, Israel, Ivory Coast, Kazakhstan, Laos, Libya, Myanmar, Mexico, Nepal, Niger, Nigeria, North Korea, Palestine, South Africa, South Korea and Vietnam. Highly pathogenic H5N1 bird flu first infected humans in 1997 during a poultry outbreak in Hong Kong. Since its re-emergence in 2003 and 2004, H5N1 has spread from Asia to Europe and Africa, causing millions of poultry infections, several hundred human cases and many human deaths.